I’ve spent a whole lot of days and nights in my life enjoying the beautiful public lands we have been blessed with across this nation. I’ve experienced the awe of waking in subalpine forests covered in new snow, incredible morning birdsong along desert riverbanks, and the diverse life and landscapes of myriad other wonderful places on our National Forests and on lands managed for us by the Bureau of Land Management (BLM). Still, my first night out with WildEarth Guardians’ Climate and Energy Program Director, Jeremy Nichols, was brand new to me. 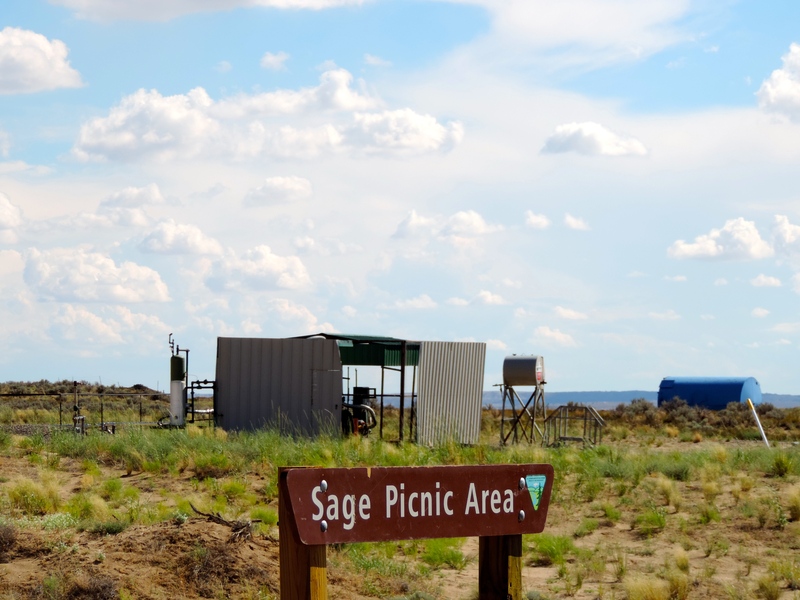 We set camp in a coal-bed methane drilling field that was unlike anything I had ever seen on public lands. I had just started my first week as Guardians’ new Climate and Energy Campaign Director and Jeremy decided I needed some intimate acquaintance with the land it was now my job to protect. Guardians’ vision is that our U.S. public lands should be completely free of fossil fuel development. After all, more than one in three Americans rely on public lands as a source of their drinking water. If you travel just about anywhere in this country, you surely drink water that originates on our public lands. 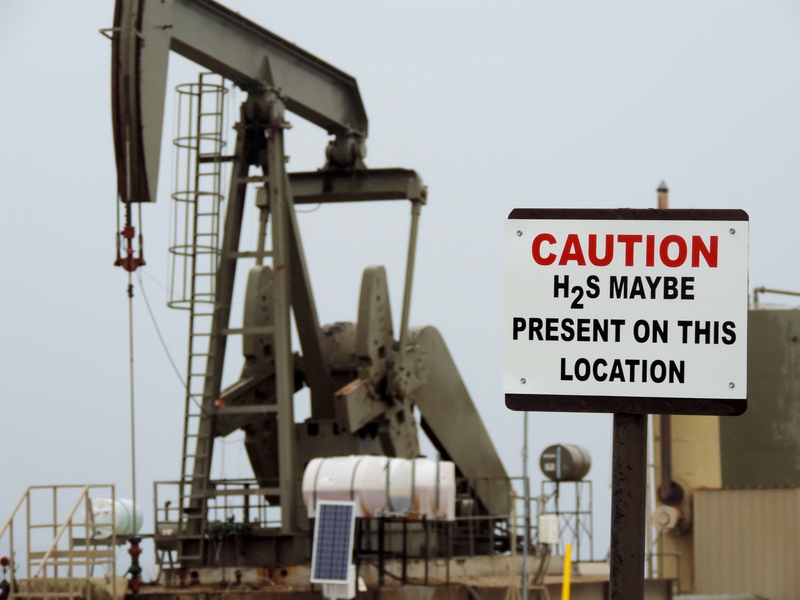 The last thing any of us want is to have our families contaminated by chemical concoctions used to frack for oil and gas – often secret chemical combinations that companies refuse to identify to doctors or researchers. Along with clean water, we expect our National Forests and other public lands to be sources of clean air. Just the opposite is happening in many rural communities near frack jobs on our public lands. 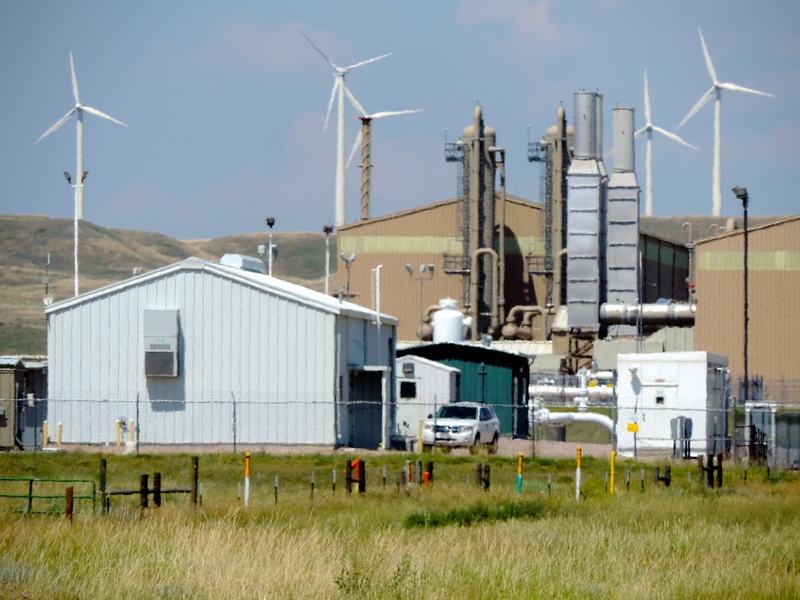 Rural communities in Utah and Colorado have already been federally declared as unhealthy air zones with fracking, oil and gas transport, and oil and gas processing the culprit for excessive smog. 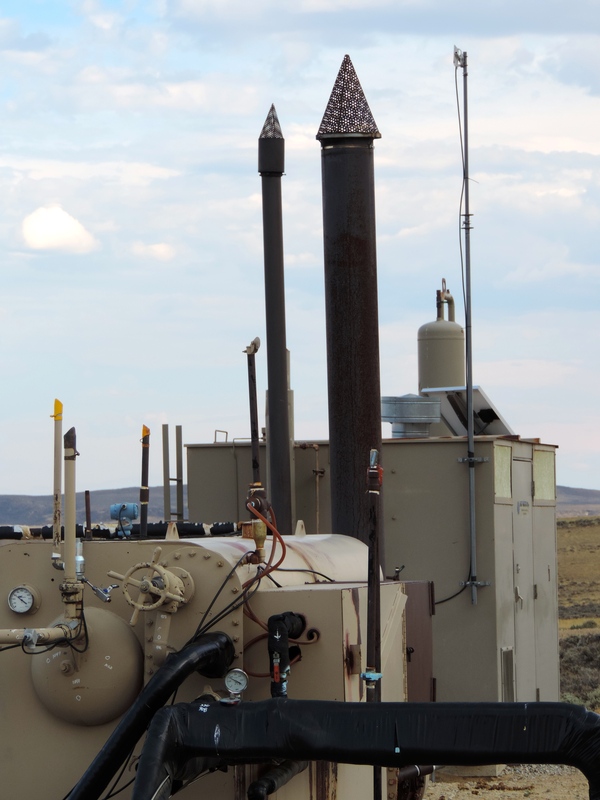 Air monitors in rural regions in some other Western states, otherwise free from industrial sources or heavy traffic except for oil and gas production, are also beginning to ring alarms over their decline in clean air. I personally had a hard time breathing in the worst of the areas we visited. But even if public lands oil and gas could be magically fracked (and nearly all oil and gas produced in this country nowadays is fracked) in some pristine way that didn’t pollute our air and drinking water, we’d still have to fight it. That’s because just about every serious scientist who has weighed in on global warming policy prescriptions agrees that the bulk of the fossil fuel left in the world has to be kept in the ground. So, how are we going to lockdown hundreds of billions of dollars of fossil fuel that every greedy oilman and gas developer in the world wants to get their paws on? The same way we have created large open spaces free from industrial or residential development; the same way we have preserved landscapes big enough for bison and wolves; the same way we have kept forests uncut for miles in every direction. Our precious public lands, and the fossil fuels found under them don’t belong to the federal government. They belong to us; they’re our birthright as citizens. The government only manages them at our direction. Those are our fossil fuels. That’s our carbon. And the way I read the polls, most Americans don’t want that carbon burned up into our atmosphere, speeding the pace to an unlivable world of runaway global warming for our kids and grandkids. The biggest most protected landscapes in our country are all on our public lands because that is where we the people have the most influence to protect them. So it only makes sense that the place we will have the most influence in locking down the first extensive sources of carbon, and thereby turning the tide on climate change, is on public lands that hold publicly-owned carbon. We have to keep the oil and gas and coal industries from burning our carbon and destroying our climate. And as the greatest historical climate polluter, it only makes sense that the U.S. has the responsibility to lead on this carbon lockdown issue by locking down our public lands fossil fuels first. With that as our mission, Jeremy took me out for a tour of what we are up against, specifically focusing on oil and gas. It isn’t pretty. We did an 1800-mile loop from Denver up through southern Wyoming, through Utah’s Uinta Basin, down to northwestern New Mexico and then back to Colorado. 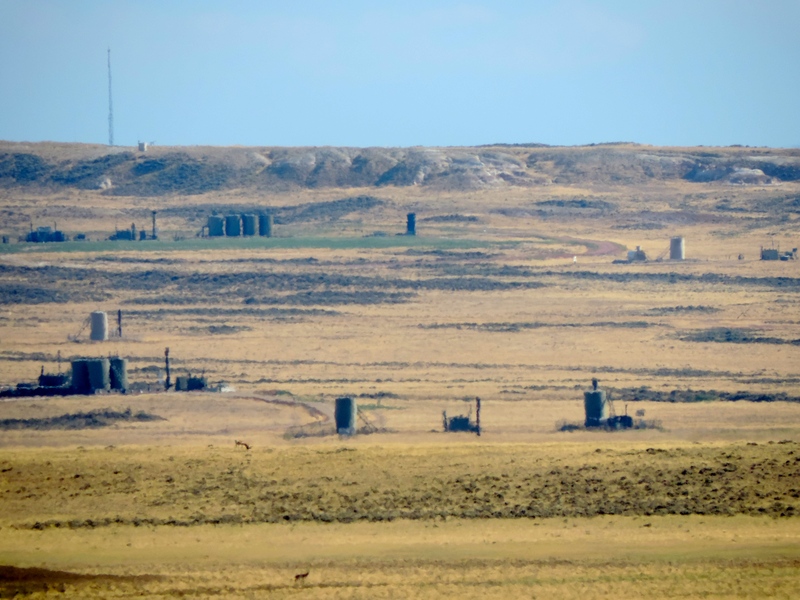 Despite the distance, we still only saw a tiny fraction of public lands oil and gas drilling. 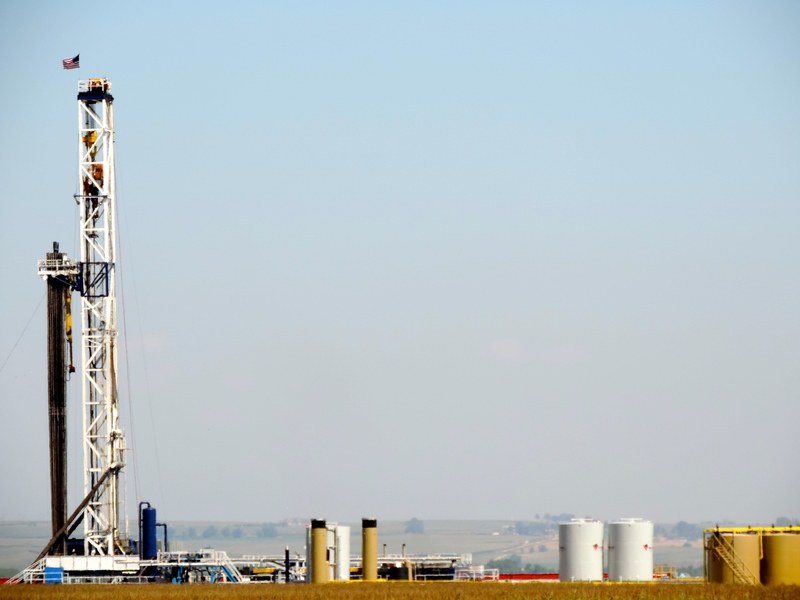 In fact, the U.S. currently has more than 32 million acres under lease. That is an area of public lands fossil fuel development leasing bigger than the size of New York State. 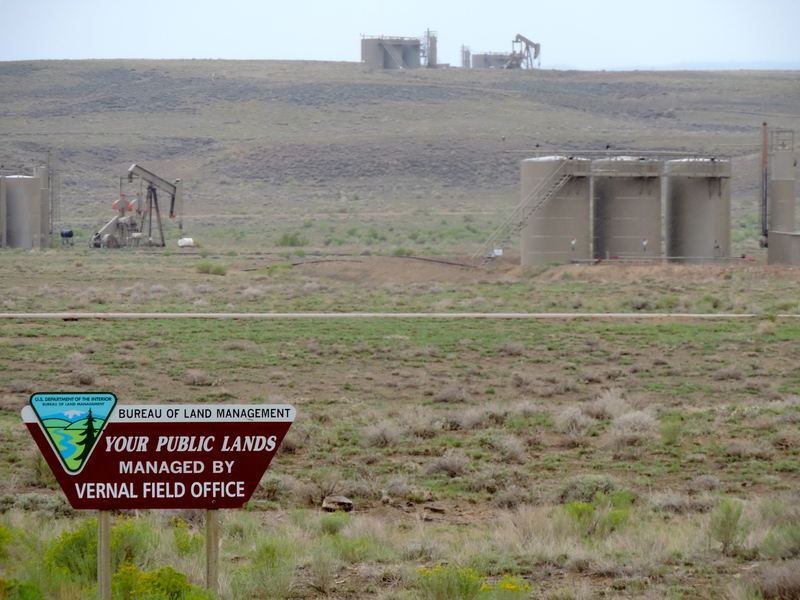 Thankfully, not all of it is being developed at this time, but that is only because oil and gas companies bid on and then hold these leased public lands in speculation. One of Guardians’ goals is to stop this lease speculation on public lands by Big Oil and Gas. Despite lease speculation, the amount of active development is still huge. About 30% of oil and gas burned in this country comes from public lands, from fossil fuels that you own. Think about that: the overwhelming majority of American–heck, even a majority of Republicans–have told pollster after pollster that we want the government to do more to stop global warming, but what the Obama Administration is doing instead is selling off the public’s fossil fuels to speed the rate of global warming. Sarah Palin’s “drill baby, drill” turned into Barack Obama’s “all of the above” energy strategy and the result is undoing all other government efforts taken to stop global warming combined. 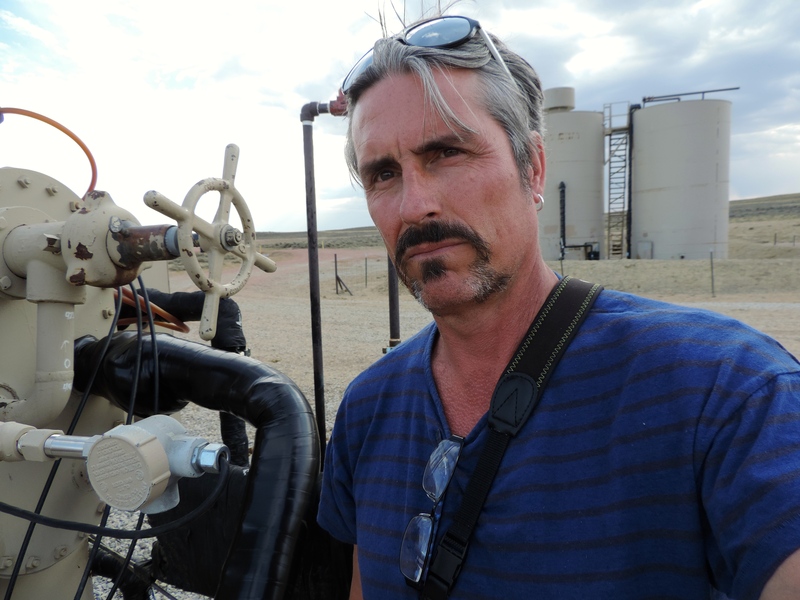 Jeremy and I traveled landscape after landscape riddled with gas wells, pump jacks, pipelines and processing plants. We saw hundreds of miles of new roads built across vast, previously unroaded landscapes, with the sole purpose to let Big Oil and Gas pull money out of the ground. There are huge sections of public lands that have an oil well pad every quarter of a mile in every direction for hundreds of square miles. Where there are gaps, projects are proposed to fill in the blank spaces. These well pads are eyesores, dangerous, and dominate the landscape. You can’t hunt near gas tanks. 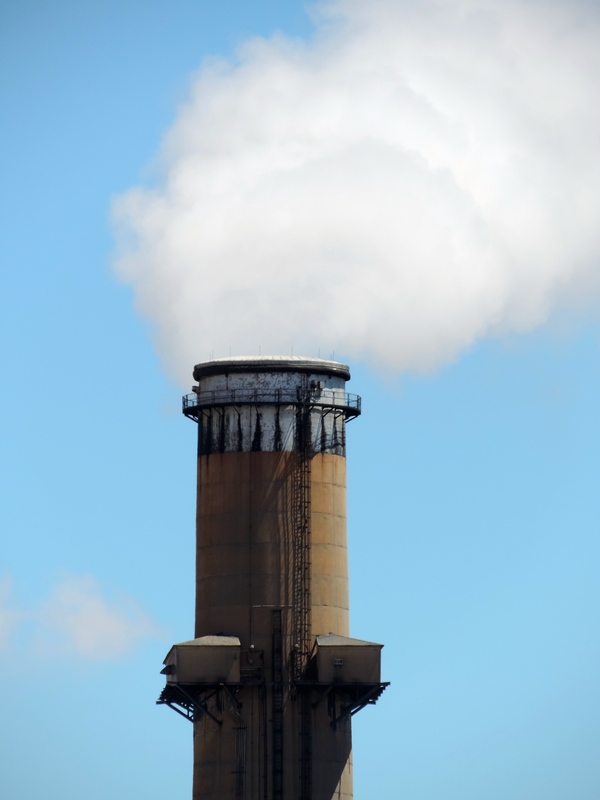 You won’t picnic next to toxic industrial facilities. And you don’t camp in well fields, maybe with the exception of Jeremy and me on a mission. For all intents and purposes, we haven’t just sold Big Oil and Gas our fossil fuels, we have given away our birthright of public land. On these pages, Jeremy has been describing what Guardians has been doing to fight coal, oil, and gas development project by project throughout the West. We are going to step up that work, with an added focus on oil and gas. We will expand on recent court wins and we have a few novel legal approaches to help us take back our lands. In addition, we have a bigger vision. What if the young and growing climate movement, the mature and experienced public lands movement, and the fiery and surging anti-fracking movement all joined forces to shut down one-third of all oil and gas fracking in one fell swoop? Guardians is hoping to catalyze this three-way movement marriage into the biggest threat the U.S. fossil fuel industry has ever faced. Taking back our carbon on our lands is a winnable fight and would be an incredibly powerful step turning the U.S. into a leader in addressing climate change. Stay tuned to these pages. And of course, you can help. Please support our work in protecting our drinking water, our air, and our climate by joining WildEarth Guardians and lending your support to kicking the fossil fuel industry off our public lands for good. Become a member or make a donation today. I look forward to working with you on this incredibly important campaign. Check out morephotos of our public lands fracking tour here. And thank you for your support.